Neill Blomkamp's Alien 5 movie might be getting a second chance thanks to Aliens director James Cameron! While speaking to IGN recently, Cameron answered a question about whether or not he had plans of reaching out to Blomkamp about his take on an Aliens sequel and to that he said he does plan to make that call. James Cameron also just recently finished up with a new Terminator film, a sequel to his own Terminator 2, so to see Jim considering a revisitation to the other iconic sci-fi franchise he helped to popularize is not overly surprising. Although Alien 5 was initially shelved by Fox in favor of Ridley Scott's Alien: Covenant, our own sources had assured us the project was never officially killed off and that Fox had every intention of reassessing the film at a later date. It's quite possible under the new ruling of Disney, Alien 5 will finally come to fruition; albeit not with the exact same plot line, however. In an ironic twist of fate, if Cameron follows through in this intention, it may turn the tables and place Scott's Alien: Covenant sequel(s) on hold. What do YOU think? Should James Cameron revive the Blomkamp Alien 5 project? Let us know your thoughts in the comments! 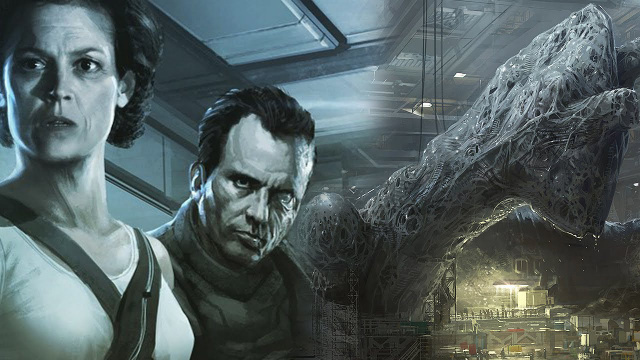 6 Fan responses to James Cameron intends to revive Blomkamp's Alien 5 at Disney?! Cameron would take it in a new direction for sure. This may be what Disney needs to start to utilize the Alien universe they bought. New ideas would create new opportunities for everyone. I guess we'll see. Good. Cameron can do Renaissance for Alien. It doesn't matter as a director or as a producer. Blomkamp is a good director too. I think - they both together can create a masterpiece! I would be DEEPLY concerned this would be a Reboot of Alien 3, as Miss Weaver would likely be involved with Cameron and Blomkamp to pitch the BRING BACK RIPLEY! to Disney. I think it appears that Blomkamps Alien movie had some interesting ideas, and originally it was not involving Ripley, so i would like to see some of those ideas used... but the ONLY way i would like to see Ripley would have to be a continuation after Alien Resurrection. And i have mentioned the IDEA i have for that on here a few times, that could Incorporate a few of Blomkamps ideas. I fear we will get the "Alien 3 and Resurrection" never happened route though and a FEAR for me is IF this does well, then we will get a "Prometheus and Alien Covenant" never happened set of Prequels that i would not be surprised also has a RIPLEY connection. But i guess they would make MONEY... especially for the Generation/Fanbase who would love to be served up AVP Movies over and over, Marvel Hero Movies over and over etc. I would not be so happy to see a Aliens 2, Aliens 3, Aliens 4 etc... with similar Formula to a Aliens or Alien Resurrection Repeated over and over. I don't think it is a good idea if J. Cameron would go with Blomkamp's Alien sequel soon. First Fox should let R. Scott finish his prequel series. I know it is very unlikely that they give him full freedom in creativity but they should. Its if they have confidence in RS and his ideas, or they (Disney) would think Camerons ideas would make more money! The Prequels being Finished would be ideal.... even if its in the form of NOVEL... the Question is IF we have Cameron given the Green Light would he pay Respect to the Prequels? Or explore his own things that may conflict the Prequels or plans on how they could have expanded/ended. We would get a Blomkamp/Cameron Aliens 3 that may conflict the Prequels and then EVEN see a Reboot of the Prequels..
Where we would have more a Aliens Apocalypse The Destroying Angels kind of Space Jockey. Where we would likely only see HOW and WHY the Eggs came to be, and would not expect much about the Space Jockey Race. And the Space Jockey would likely be a SKELETON! It could be a smart move for Disney, and I might be on board if he doesn't erase A3 and AR. They could easily do this if they used Amanda instead of Ellen. I have pretty much given up on Scott and the Jockey at this point.